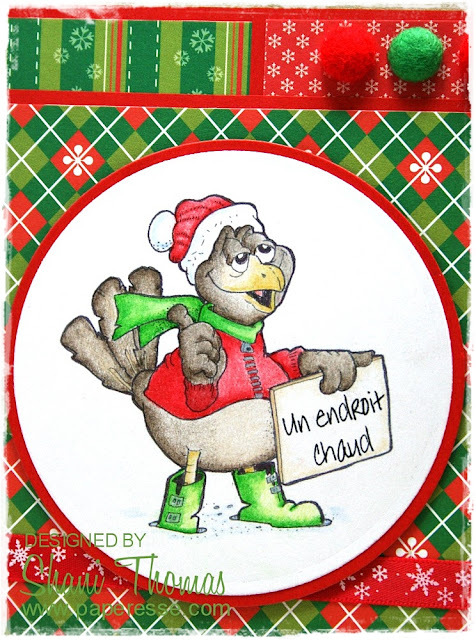 This little birdie is hitching a ride south – or faire du stop as it's called in French – somewhere warm for Christmas. I masked the QKR Stampede's Anywhere South digital stamp English sentiment and replaced it with a French one 'Un endroit chaud' (somewhere warm), as it will be going to a French speaker. Paper is from Folia's Motifblock Christmas paper pad. 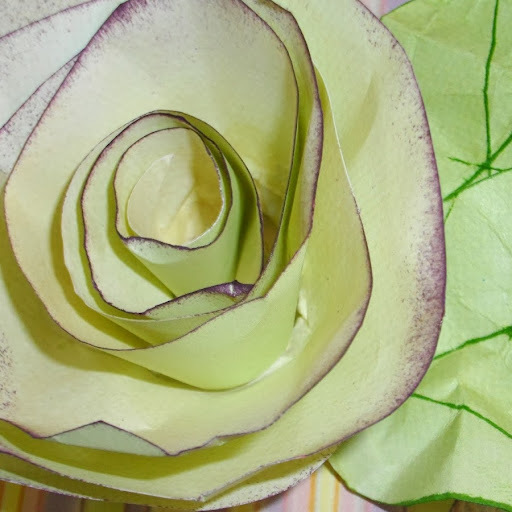 Folia Paper is a German company and is easily found in Switzerland. I like these paper pads as they're very big 24cm x 34cm and most pads have two sheets of each design – one thin sheet of 80 g/m2 and a very sturdy one at 270 g/m2. Although, this particular Christmas pad only has the heavier 270 g/m2. I kept the embellishments simple with a little ribbon and more of the felt brads I used on this Santa Selfie Christmas card. I'm really enjoying these brads. There are 20 assorted colors in a pack and were priced only €0.50 at my favorite outlet shop! I scooped up four packs; now I'm wishing I'd bought more. Of course, that I paid so little for them adds to my pleasure. *Crafty Tip* To use brads as you would enamel dots or buttons, use a jewelry wire cutter to cut off the brad tines at their base, then use a little Aleene's Tacky Glue to glue them down. 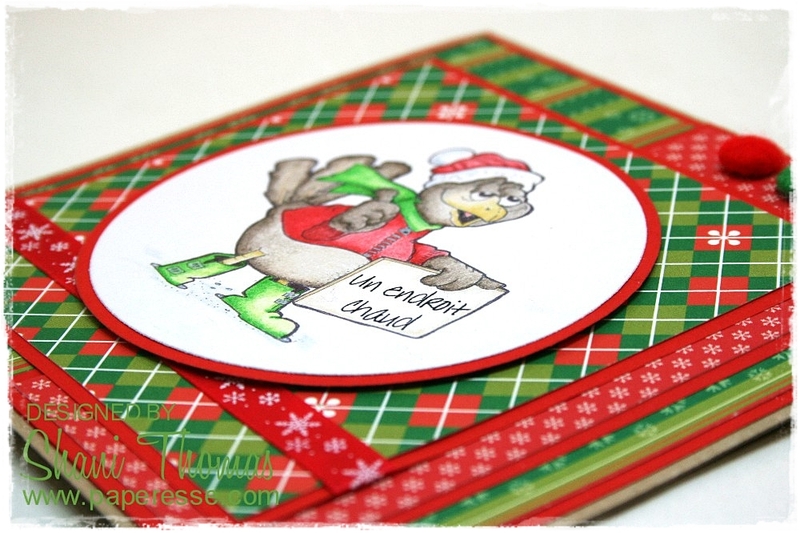 I'm linking up with: QKR Stampede Challenge #285 – ATG, The Holly and Ivy Christmas Challenge # 24 – ATG Christmas, The Merry Christmas Challenge #10 – ATG Christmas, Creative Moments #138 – ATG, and Crafting by Designs March – ATG. Who doesn't want to be 'somewhere warm' in winter?!?!? Too cute. Cute image! Beautiful Christmas card. Thanks for joining us at The Merry Christmas Challenge. Super cute! For as much snow as we have had here this winter I am ready to go somewhere warm too! Thanks for joining the Creative Moments Challenge. Trop chou cet oiseau! Il est si mignon habillé en Père Noël et en plus en faisant du stop, non mais... Il donne envie de le serrer dans les bras. Très jolie ta carte Shani, un amourrrr! !